Integrating portraiture into the classroom provides exciting opportunities to connect students with history, biography, visual art, and many other subjects. The National Portrait Gallery collection presents the wonderful diversity of individuals who have left—and are leaving—their mark on our country and our culture. The museum portrays poets and presidents, visionaries and villains, actors and activists whose lives tell the American story. 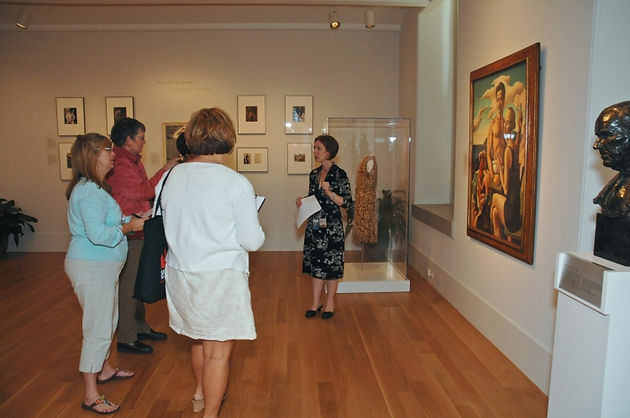 The Summer Teacher Institute will take a broad look at the Portrait Gallery’s collection. During the institute, the museum’s curators and historians will provide in-gallery content lectures, introducing the collection. Utilizing an interactive approach, NPG educators will model a variety of “learning to look” strategies—unique ways to hook and engage students when they look closely at portraits. Participants will learn how to “read” portraiture and use the art as a springboard into a more in-depth discussion about biography and history. Teachers in grades kindergarten–12 may apply as individuals or as part of a team. Priority will be given to social studies, English/language arts, and visual arts teachers. To ensure participation, a nonrefundable program fee of $100 per person is due upon acceptance into the teacher institute. Participants are responsible for travel and lodging costs. Each participant will receive a stipend of $200 at the conclusion of the workshop. Please direct queries to npgeducation@si.edu or 202-633-8503. Application deadline is April 15, 2014.